Upgrade is one of those movies that accomplishes a lot with very little, and that's because Leigh Whannell literally brought it home. I met Leigh Whannell, when he was a film reviewer for a highly popular and extremely progressive Australian television show called Recovery. I’m sure for him it was quite forgettable but we chatted for a while about movies and stuff. 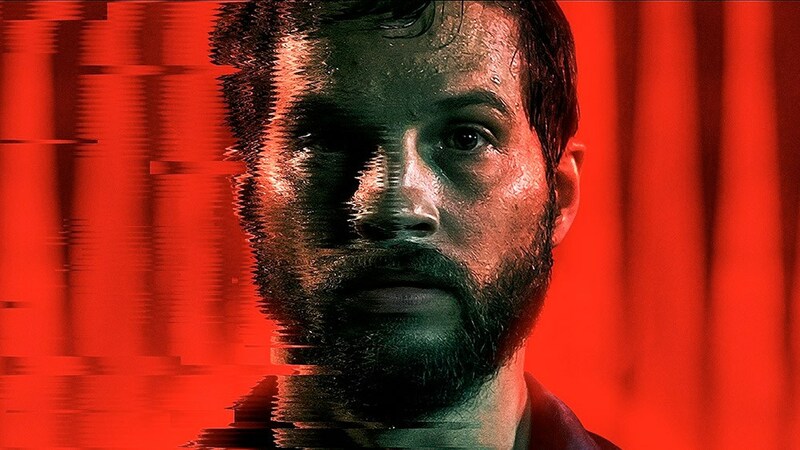 Over 20 years on, I’m having a mid-life crisis, posing as a film reviewer in a flooded market and discussing Upgrade, the latest movie from writer and director Leigh Whannell. I have wasted my life! He’s done pretty well for himself though, and along with his buddy director James Wan (fun fact, my wife went to school with him, boy did she back the wrong horse!) they’ve been a highly successful writer/director duo. We’re talking huge success with horror films like Saw and the Insidious Movies, right up until Insidious 3 where Whannell took over as writer and director. Upgrade sees him hooking up with production studio Blumhouse; a small budget somewhere in the vicinity of $3-5 million, heading back home to Australia and branching out from horror into science fiction. The one thing I have found apparent with Whannell’s stories—which rings true from my brief meeting with him—is that he is a fan of the craft, and he wears his heart on his sleeve. Upgrade echoes elements of 2001 a Space Odyssey, Blade Runner, The Terminator and could be seen as a bit of a fan letter to fellow directors John Carpenter and David Cronenberg. It’s part sci-fi thriller, part super hero action and part horror. The story sees technophobe Grey Trace living in a world that is almost entirely automated. You could indeed say it was ‘the not too distant future’. Self-driving cars, automated houses, neighbourhood surveillance by drones and augmented humans running around with all sorts of weird and wonderful modifications. Grey isn’t so fond of having everything done for him by machines and spends his time restoring old school cars, like trans-ams. He’s an analogue guy trapped in a digital world. Early on Grey is rendered a quadriplegic at the hands of some pretty nasty bad guys. However, his tragedy is science’s opportunity and he puts himself forward for a procedure that sees a chip called ‘STEM’ inserted in his spine to reconnect the severed spinal cord and restore his mobility. As the title of the film suggests, he gets the bonus plan and his upgrade puts him on a course to find the people who ruined his life and bring them to justice. The cast are all pretty great but most of the screen time is eaten up by Logan Marshall Green as Grey (it makes sense given he’s the lead) he puts in a performance that is not only emotional but very physical. Bettie Gabriel does tenacious really well as detective Cortez. Melanie Vallejo does squeaky-clean as Grey’s wife Asha. Harrison Gilbertson brings the social awkwardness as entrepreneur Eron and Benedict Hardie is the fantastic bad guy Fisk, he provides the perfect ruthless creep to counter Grey’s confused hero. You could say that upgrade is a cautionary tale about man’s dependence on technology leading to our ultimate undoing, or in the shorter term, the dangers of self-driving cars. You could say it’s a morality play about revenge. Or you could just say it’s a really good science fiction/action flick that achieves a great deal with very little. I especially liked that they did a great job turning Melbourne into a non-descript, futuristic city for the backdrop. I really liked the punk rock filmmaking style—a lot of the practical effects and unconventional and sometimes nauseating camera work created a unique yet nostalgic feel—and the fight scenes were top notch with the right amount of physical comedy and shocking but well-timed gore. At first Upgrade seems slightly derivative and it does play out like an extended episode of Black Mirror, but it’s more than that. The plot cashes in some tricks that have been done before but then it cleverly flips and twists past the point where you think you’ve figured it all out. While his mate James Wan has moved onto making blockbusters like The Fast and The Furious and Aquaman, Whannell has produced a grounded, compelling and fun science fiction movie that harks back to the days where directors had to be practical and innovative to bring their ambitious stories to life. It’s got heart, integrity and it’s great to see him come home and work with the locals in the Australian film industry to make it happen.